We are now requesting your replies on whom to expect and when for our upcoming outing with Troop 99 to Camp Ockanickon for their annual COPE weekend on November 7-9. 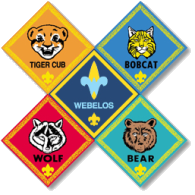 This will be an opportunity for our boys to meet Scoutmaster Ryan Pursel, participate with Troop 99 in an outdoor-oriented Boy Scout activity, get to know the people of the troop and consider it for a new home after the boys earn their Arrow of Light award and crossover to Boy Scouts. For those of us who don't know, which included me, COPE is an acronym for challenging outdoor personal experience and there are two components to this: low COPE, in which all boys may participate, and high COPE, which is typically restricted to boys 13 and over but exceptions are made for boys who meet minimal physical requirements. 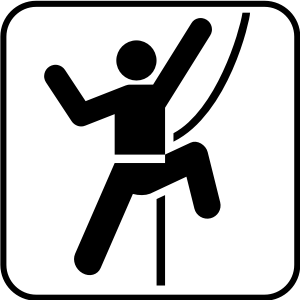 There is also the opportunity for tower climbing, rappelling, and rock climbing. RSVP: Please reply directly to James by Saturday, November 1, 10:00a with expected attendees and which session(s) you plan to attend. When: Following is a typical schedule for a COPE weekend and if you are unable to make it for the entire weekend, any of these times should be a good time to start and meet-up with the rest of the group; we just need to know which sessions you will attend.